The Epie-Atissa people for a long time have faced different challenges that has both weakened and strengthened our bond. It is no strange tale that we have been characterized with the evil act of cultism, prostitution, poverty, ignorance etcetera. But it is also no strange tale that in spite of this malignant tumor that plagues the Epie-Atissa people, certain persons have been able to excel beyond the status quo and build monuments of excellence. 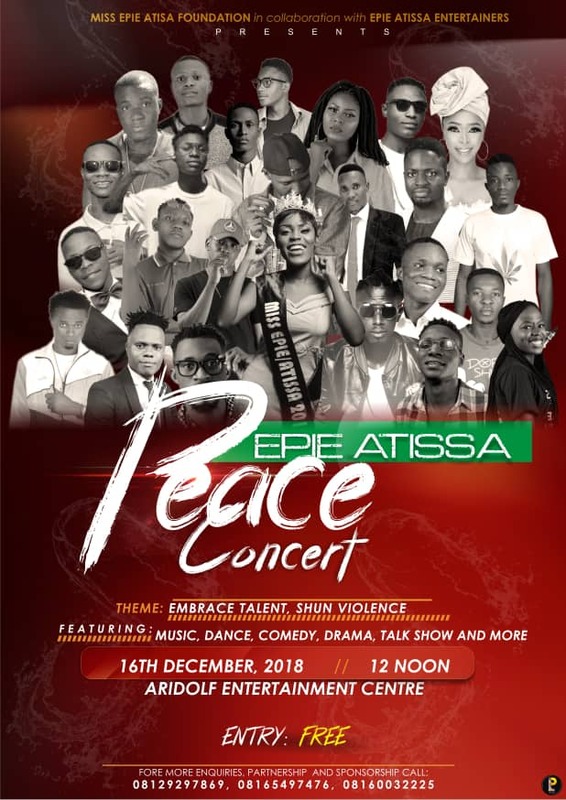 The Epie-Atissa people are actually intelligent people that are richly talented ranging from music to poetry all the way to public speaking and any worthy endeavour that you can imagine. Our people are beautiful peoples both physically and at heart; they are heavily benevolent and very hospitable. A lot has been said about us that have made a lot of us feel lesser than others but this concert is a wake up call to jerk everyone to their feet. Every dream that you have is possible! In fact! Excellence is possible, being an Epie-Atissa does not in anyway reduce your worth. It is time to shun the evil that we have allowed to permeate our streets, it is time to shun violence. 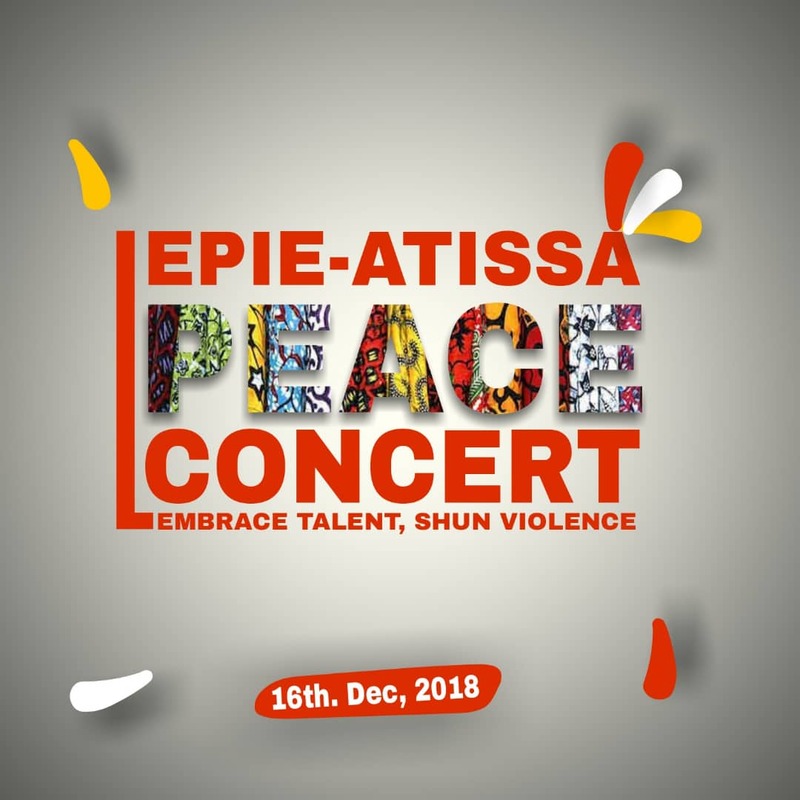 Every Epie-Atissa youths have the ability to be great and successful especially you reading this. Yenagoa is all we have, if we allow people to destroy it, we will be like madmen setting our own houses on fire. Let us shun violence and embrace talent and skills today. Together we can disprove the theory that Epie-Atissa people are low-lives and have nothing to offer. Together we can represent our clan and show the world the true essence of our tribe by reflecting our pristine glory and showcasing the beauty of our dynasty.